The newest member of RJJ Boxing’s growing stable of fighters, Ray Ximenez, Jr. (18-1, 4 KOs) squares off with his gritty Mexican opponent, Luis Alberto “El Venado” Lopez (16-1, 8 KOs), in the 10-round main event for the vacant World Boxing Organization (WBO) International Featherweight Championship. Ximenez vs. Lopez will headline a card to be streamed live on UFC FIGHT PASS, starting at 10 p.m. ET / 7 p.m. PT. The show is the third under a new agreement between Palicte’s promoter, RJJ Boxing, and FIGHT PASS, to live stream up to 72 professional boxing events over the next three years. Riding a five-fight win streak, Dallas product Ximenez (18-1, 4 KOs) was a standout amateur boxer, compiling a 120-9 record, highlighted by three gold-medal performances, both in the National P.A.L. Championships and Ringside World Championships. A six-time Dallas Golden Gloves champion, Ximenez started boxing at the age of 10 and he also captured gold at the 2009 Silver Gloves National Championships and Junior Olympic National Championships. He represented and captained Team USA at the 2009 Youth World Junior Olympics. The 25-year-old Ximenez (pictured here), who is the former Texas State featherweight champion, won a 10-round unanimous decision in his most recent action against 111-fight veteran German Meraz last July. Lopez has won four in a row. His most notable career win was a 10-round unanimous decision over 10-1 Christian Bielma, on October 28, He will be fighting outside of his native Mexico for the first time in his 3-1/2-year pro career. Also scheduled to fight on the card, all in four-round matches, are OR light heavyweight John Peak (3-0, 1 KO) vs. Tacoma, WA’s Juan Jackson (1-0), Kent, WA junior welterweight Shae Green (3-0-1, 1 KO) vs. Medford, OR’s Gerardo Esquivel (0-1), Fairbanks, AK light heavyweight Taylor Shirley (1-0, 1 KO) vs. Vancouver, WA”s Luis Iniguez (1-1-1), Bonney Lake, and Pasco, WA light heavyweight Roman Avetisyan (0-1) vs. Moldova-native Alex Cazac (0-2), fighting out of Portland, OR, and Roman Avetisyan (7-0. 5 KOs) vs. Antonio Neal (4-0, 3 KOs), of Granger, CA, in a battle of unbeaten prospects. Doors open at 5 p.m. PT, first fight at 6 p.m. PT, and FIGHT PASS starts at 10 p.m. ET (7 p.m. PT). 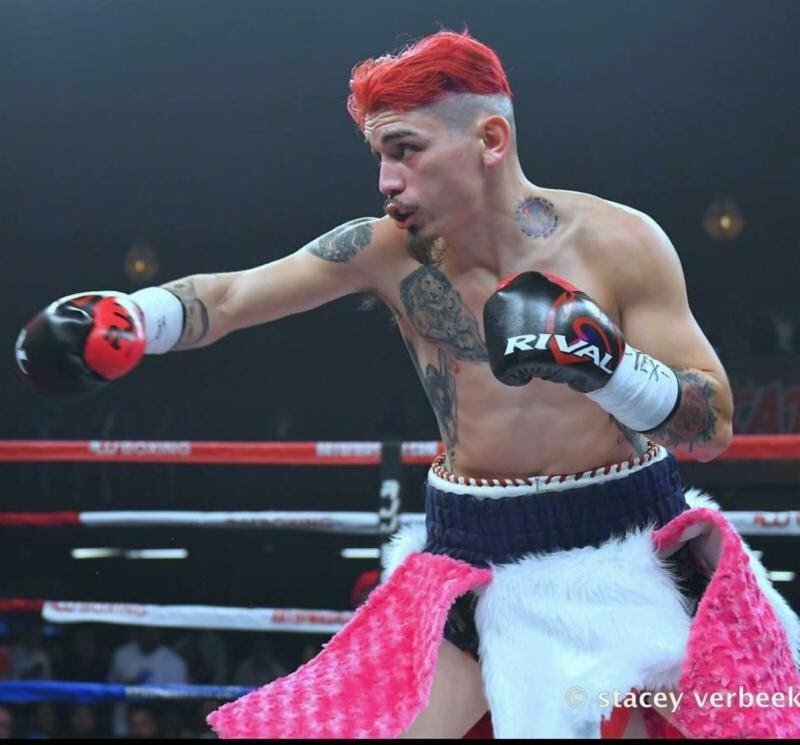 Roy Jones, Jr. (RJJ) Boxing proudly announces the signing of Dallas featherweight prospect Ray Ximenez, Jr. to a long-term, exclusive promotional contract. Riding a five-fight win streak, the 25-year-old Ximenez (18-1, 4 KOs) is expected to make his RJJ Boxing debut in March. Ximenez was a standout amateur boxer, compiling a sterling 120-9 record, highlighted by three gold-medal performances, both in the National P.A.L. Championships and Ringside World Championships. A six-time Dallas Golden Gloves champion, Ximenez started boxing at the age of 10 and he also captured gold at the 2009 Silver Gloves National Championships and Junior Olympic National Championships. He represented and captained Team USA at the 2009 Youth World Junior Olympics. In 2010, Ximenez made a successful pro debut, winning a four-round unanimous decision versus Cristoval Larrazolo..
Five years later, Ximenez defeated Jesse Angel Hernandez, currently 12-1 and world rated (IBF #14, WBO #15), by way of a six-round split decision in Fort Worth, Texas. Last February on beIN Sports, Ximenez registered an impressive eight-round unanimous decision in Dallas over Eugene Lagos, who in his next fight on ESPN knocked off Golden Boy’s top prospect, undefeated (15-0) Emilio Sanchez, in round two. Ximenez won a 10-round unanimous decision over 111-fight veteran German Meraz this past July in Ximenez’ last fight. Next boxing news: Alex “El Toro” Vargas Dream Leads to “Rockin Fight’s Third Visit to the Paramount!